We have many seasoned Help Moving Taskers on the TaskRabbit platform who regularly move Clients’ belongings to their new homes. But what about that initial first step? You know, packing? Packing properly before moving Clients’ personal items (or making sure they have packed properly!) is probably the most important step in the moving process. Well-packed items will make your Help Moving tasks a breeze—and maybe even help cut down on the heavy lifting. Poorly packed items could result in boxes that are too heavy—or worse, broken items. Starting with a packing task is also a great way to gain a repeat Client with numerous earning opportunities (from packing, to the actual move, to unpacking, then maybe Mounting, Cleaning, Home Repairs… the list goes on!). So, how can you level up your packing skills and make sure your Clients leave you a rockstar review? We put together some useful tips below to help you tackle every step of the process! How many rooms will need packing up? Have you organized all your items to be packed ahead of time? If not, do you have any special directions for how to do so? Have you already purchased packing equipment—boxes, bubble wrap, packing paper, and tape? If not, would you like me to purchase that and expense it as part of the task? Are you moving any expensive art? If so, do the pieces require special crating or other materials? Do you have original boxes for your larger electronic items (i.e. TVs, computers, and stereo equipment)? Help Clients pack items ahead of time—preferably before the actual moving day so there aren’t any surprises. Pack items based on the rooms they came from, and make sure you label the boxes to make unpacking easier. Sort items by category (i.e. pots and pans vs. dishes vs. utensils). Divide up heavy items and light items so each box can have an assortment of each. Set aside any items that Clients might want to take with them separately. Pack all breakable items over a padded surface. Use packing paper or bubble wrap for fragile items—or both. Small and fragile items should be wrapped separately. Be generous with the padding! Pack plates between layers of packing paper or bubble wrap before stacking them in sets of four. Then wrap each stack. Wrap glasses separately, and fill each one’s empty space with packing paper or bubble wrap. Wrap small picture frames separately, and separate each one with padding before stacking. For large frames, wrap them in bubble wrap and move separately. Dry and liquid kitchen ingredients can be a pain if they spill. Pack them in separate boxes, and make sure to mark the box with liquids as fragile! Make sure you place 1-2 inches of packing supplies at the bottom. For boxes with fragile or heavy items, make sure all sides have cushioning. Pack heaviest items first, and fill in some of the space with lighter items. Don’t overload boxes so that seams are bursting or they are difficult to close. Make sure boxes aren’t too heavy to lift! Label each box clearly with a pen or Sharpie as you pack them, and tape it up well! Be sure to mark “fragile” on boxes with breakable items, and indicate which way the box should be carried. Use a moving truck that has a ramp that is fully secure, dry, and clean of debris. Always be sure to lift with your legs and not with your back. A back brace can often help ensure your safety and stability. Load heaviest items first and put them all the way into the back of the truck (toward the front of the vehicle). This might include large furniture, mattresses and bed frames, or heavy boxes. Place couches, mattresses, and tables in a vertical, upright position to save space. Make sure they are all securely tied down. Cover all furniture with furniture pads or blankets to avoid nicks and scratches. Make sure any drawers are blocked from opening, especially if you’re storing smaller items in them. 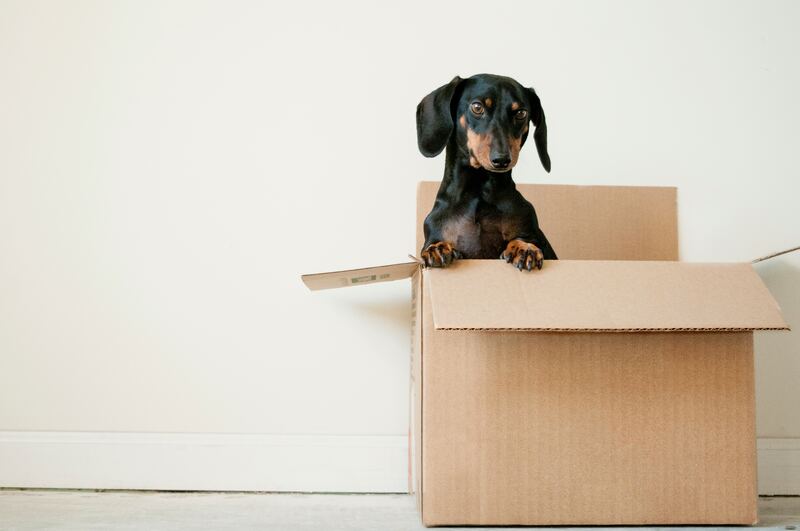 Pack all the must-have necessities last so that Clients will have immediate access to them at their new home! After packing is complete, you’re on to the next step: doing the actual Help Moving! This was super helpful! I am saving the questions to my Google Keep so I can reference it when I am talking with moving clients.